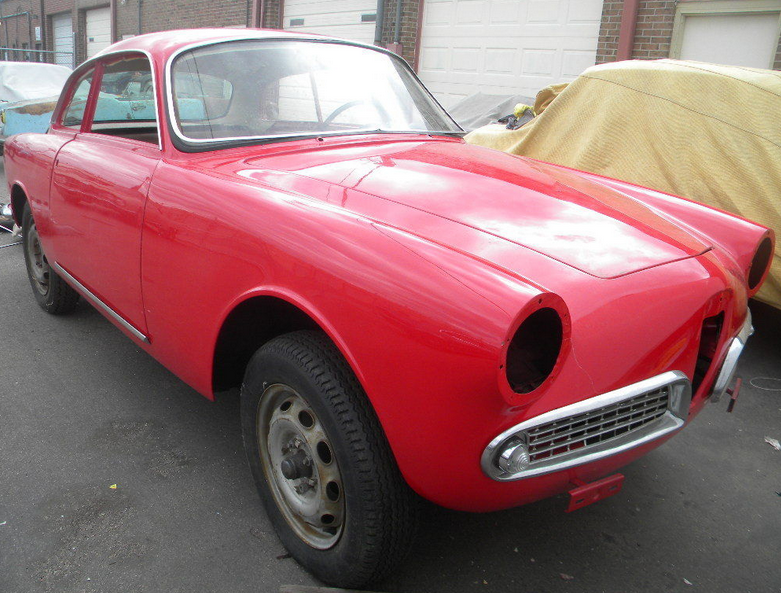 Giulietta Sprint 10124 1493E*23895, 00106*01059 & 00102*29231. This Sprint Veloce is on eBay being offered by Classic Invest out of Denver Colorado. It is incomplete, but tempting for a guy like me who has boxes of parts and a scruffy Sprint Normal to potentially move a bunch of parts off of. This series of Sprint seems to have come with an 00106 Veloce engine, the US version of the early 10106 Sprint Veloce. I have 10124 23899 in my picture files, and it has an 00106 engine with 40DCOE’s instead of 40DCO3’s. 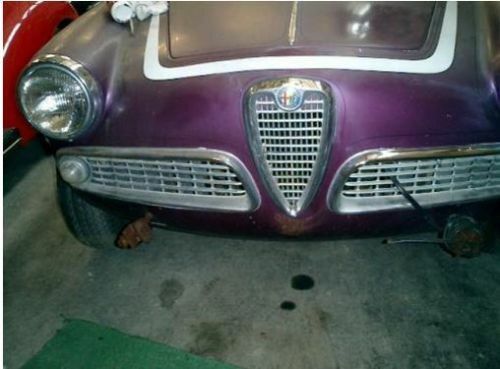 This car has appeared at Fantasy Junction and they have put it on eBay. I saw it in person today and it is a thing of beauty. 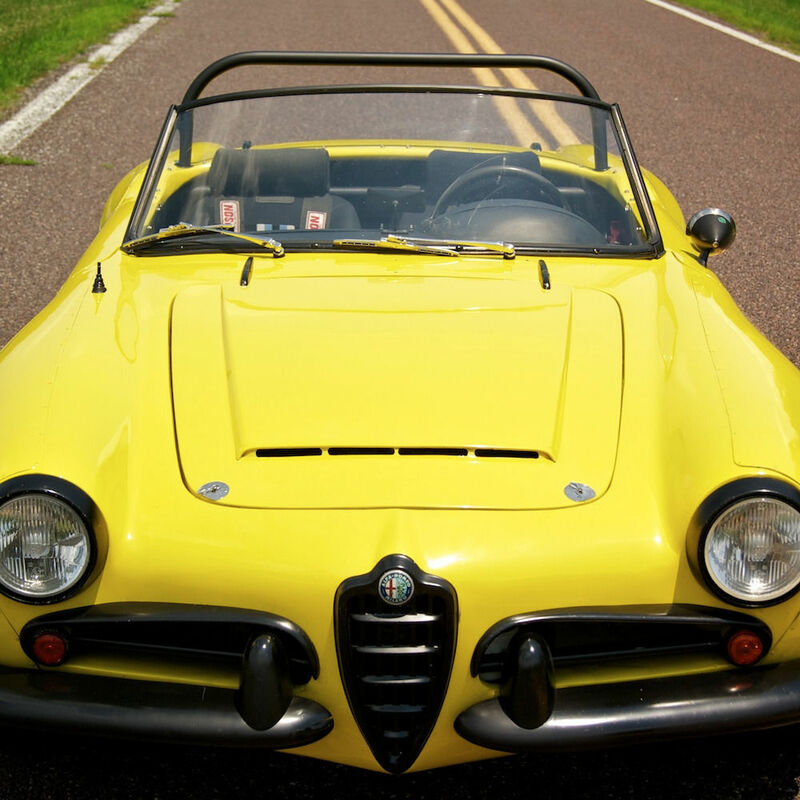 Giulietta Spider Veloce 10107 167610. 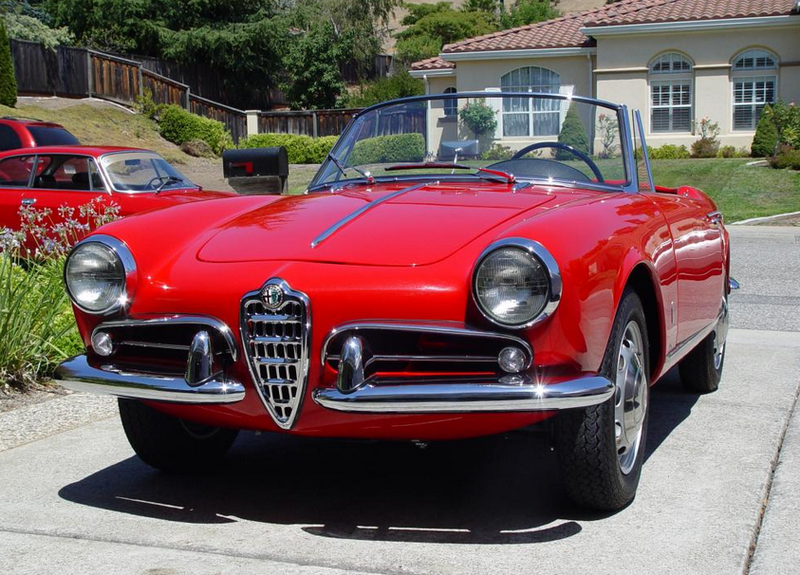 Tom Sahines in the San Francisco Bay Area has put this fine specimen of a Spider Veloce on the market. Tom has been the ARA tech hotline for as long as I can remember, and has deep knowledge of Alfa’s cars from Giulietta to 164 and probably beyond. I’ve seen some of his restorations in person and they are astonishingly nice. Ever the engineer, astonishingly nice to look at is not Tom’s main goal; astonishingly nice to drive is. An unusual goal in a world where cars for resale tend to get the minimum attention to functionality. The asking price is $140,000. This may seem high, but a 750D in similar condition sold at Scottsdale for $140K. All the usual praise applies: great panel fit, impeccable bright-work and lust inspiring luster. Yes please! Update 4/28/14: The owner of 04351 contacted me and reports that a restoration was completed about 18 months ago and It is currently being enjoyed in the South West. 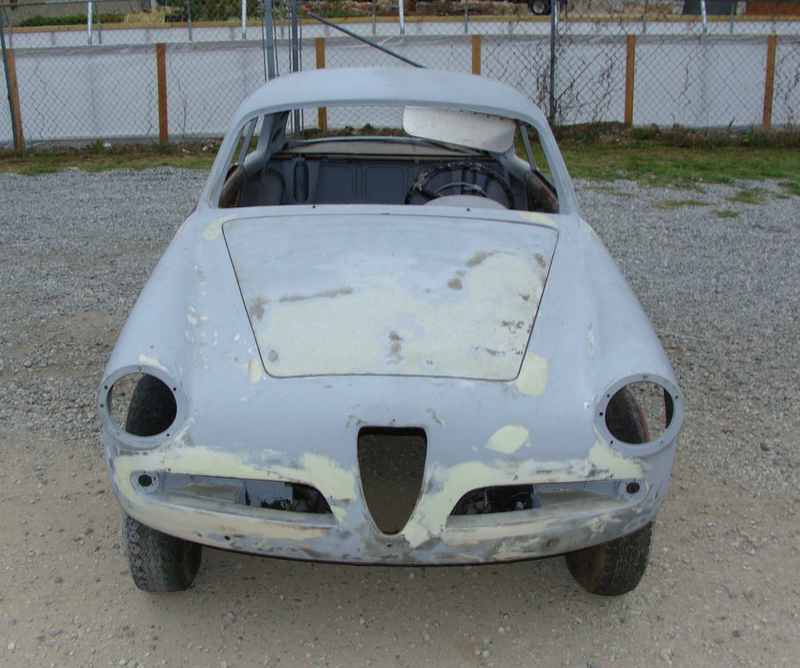 He intended to keep the car as original as possible, but after digging in it became apparent there was more to do than anticipated and it slid down the usual slippery slope towards a full, though sympathetic towards its original state restoration. 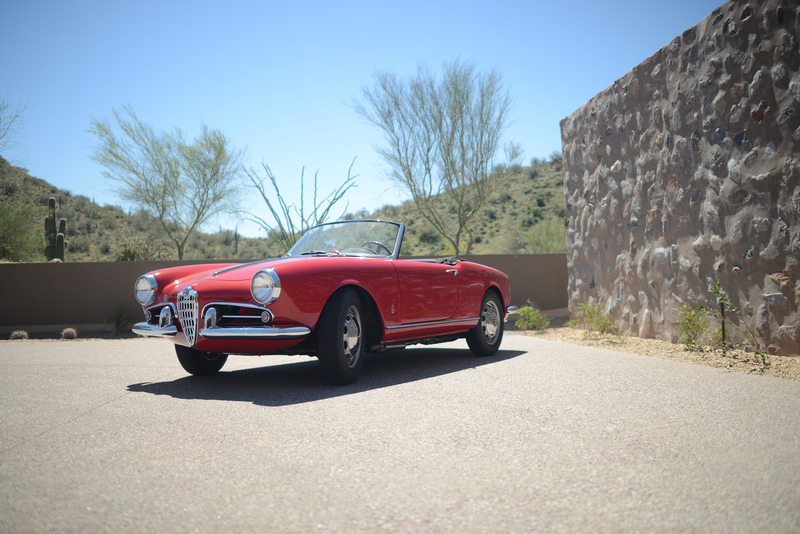 Update 4/24/14: I am currently going through close to 1000 Alfa Romeo sale records, verifying them for publication on The Fuelist, and I came across this charming specimen among the raw data. I remember watching it reach $50,000 after some last minute aggressive bidding, and thinking – “Wow, these have hit the big time!” Looking back from this moment, five years later, this car appears to have been very well bought. Anyone here a proud owner? Where is 04351 now?? Giulia Sprint Speciale 10121*381030, 00121*00578. This rare RHD SS will be auctioned by Silverstone on February 22nd. It’s a clean example if the pictures tell the truth. 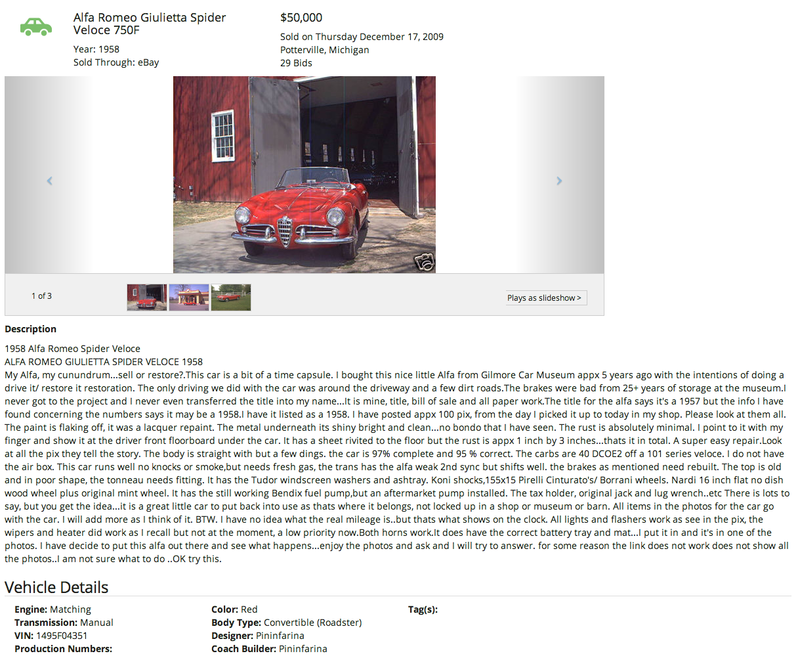 I’m not sure why they are calling a mid-64 built car a 1967, but can speculate that it might have taken some time to go from Bertone to the RHD conversion folks and then to a dealer. 3 years? I suppose it could have been a late 64 car sold in early 67. Anyhow. I like a good picture. This is the view you get when you look up mid stoop after you drop your keys on a wet morning while approaching it to go motoring. Description says it saw a bare metal respray recently.